My first passport. I don't remember why my mom got us passports but I still remember going to have the pictures taken. I was wearing my favorite outfit and I thought the pictures looked great! 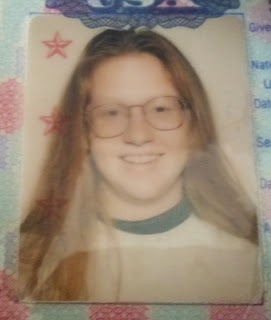 Such a dorky '90's girl- over sized glasses, turtleneck and college sweater, and long, middle-parted hair. I thought I was so grown up but 16 seems so little to me now! Holy cow, is that the same girl!? This picture was taken when I got back from Semester At Sea, a life-changing four months spent sailing around the world. My mom didn't recognize me when she picked me up at the airport- really, I was standing in front of her and she looked around me for her daughter! She still asks me how long my hair is before she picks me up from a trip because of that. At this point, I thought I knew myself and had everything figured out- at least I knew enough to know that I really had no idea about life. 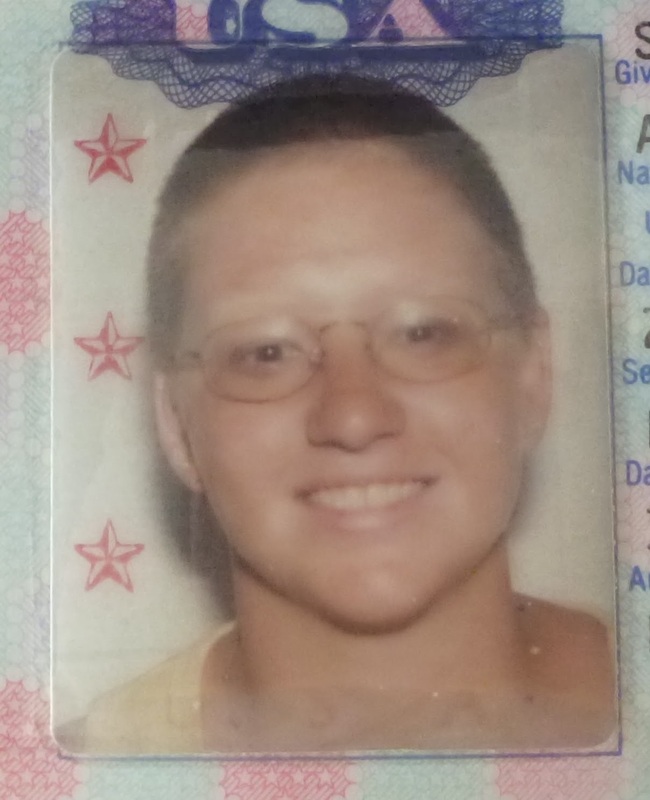 While I loved having my head shaved, to me this haircut is visual expression of how directionless I felt at the time. The doors of my world had been thrown open and I had no idea where to go after that. Luckily, I found my way through, one step at a time. Happiness pie- a picture that looks like me! No glasses, a bright smile, and flat, well-behaved hair. 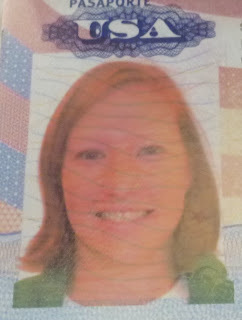 This picture was taken after D and I returned from our honeymoon in Costa Rica (meaning that I had to travel for my honeymoon on my last passport (see picture above). I almost didn't make it through immigration!). I felt like I was finally on the road to my life. I had a wonderful husband, a good job, and was about to head to Antarctica for the first time. D and I were going to live an adventure-filled, traveling lifestyle and this was the passport that was going to get me there!